KET supplies first ITP miniMBR™ Package Plant to Gerstell Academy in Finksburg, MD. KET installed the ITP miniMBR™ 4-stage bardenpho package plant with innovative BNR control system during the Summer of 2017. 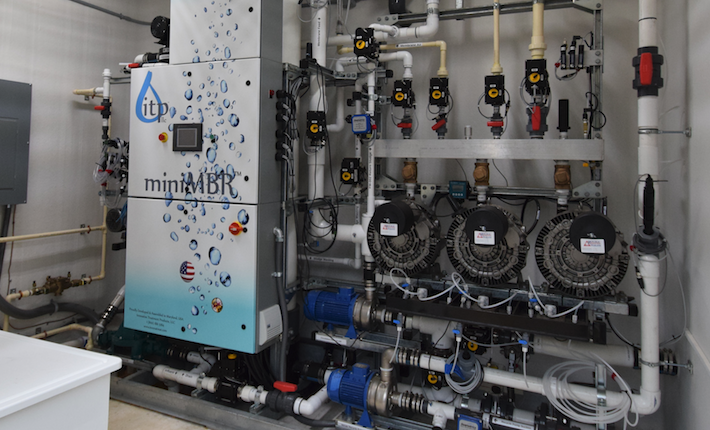 JMT, Gerstell’s consulting engineer specified the miniMBR™ which was designed to re-purpose and utilize all of the existing infrastructure for the new system. The SBR was converted into an equalization basin and the effluent sub-surface disposal system was completely reused. The ITP miniMBR™ incorporates fully automated controls and membrane cleaning systems so operations staff only needs to visit when required to collect samples or troubleshoot the system. Remote access to the control system via cellular modem is included so the operator can check the system remotely via his cell phone or computer. 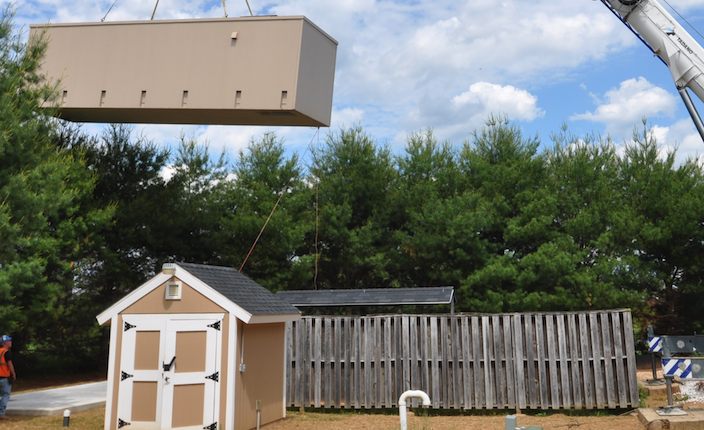 Tests were run to confirm that the miniMBR™ is capable of achieving effluent with < 3mg/l TN during cold winter months with minimal auxiliary carbon addition. Due to high influent TKN, the existing SBR could not meet effluent TN (10 mg/l) criteria for sub-surface discharge. 15 years of pump & haul needed to end!